Enrolling your children in the right Kids Karate Keller TX classes is probably incredibly important to you. 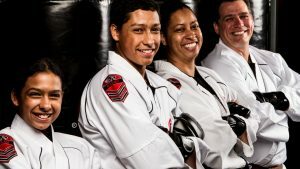 Are you currently on the search for the right courses for your sons and daughters, but you still haven’t found a local dojo that meets your lofty expectations? If you’re trying to immersive your kids in a fun, safe, and challenging environment, this is the place for you. 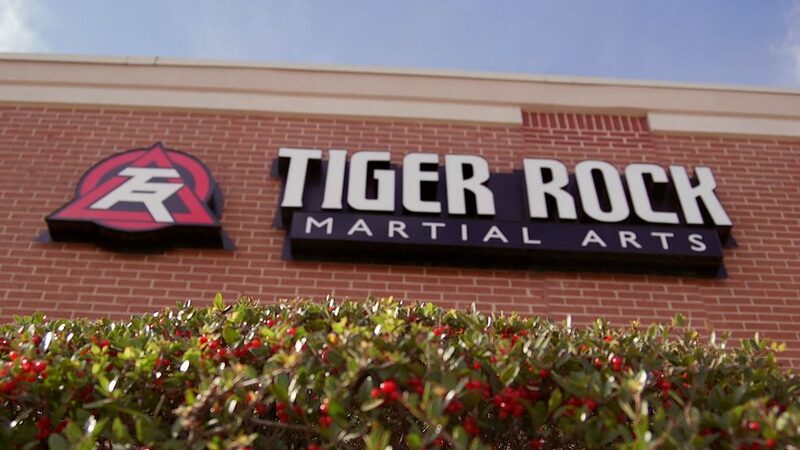 Tiger-Rock Martial Arts are ready for your help your family transform. Every parent wants their children to get off to the right start in life. As a head of a household, you’re probably very concerned about making sure your son or daughter has everything they need. While you’re probably already active in their academic careers, it’s important to remember the other skills they’ll need in life. In addition to getting an education, you might also want your kids to be disciplined, confident, focused, and ultimately well-rounded. Make this happen by reaching out to Tiger-Rock. The TRMA brand has been around ever since `1983. Ever since we started out as a local dojo that just wanted to help surrounding citizens work out, we have since evolved. We are currently the most popular and successful martial arts franchise in all of America. You can trust our tried and true methods to help your kids get better both mentally and physically. Each and every location is staffed with a team of certified instructors who are able to guide your kids in the right direction. At Tiger-Rock, your kids will have the best of the best. Are you worried that the cardiovascular health of your family isn’t where it needs to be? Perhaps your kids are currently being overwhelmed by this lack of physical health. If you think they’re lacking exercise and you’d like to get them in a great program, we’re here to provide one for you. Tiger-Cubs is absolutely perfect for this; it is a family-friendly class that’s geared towards children 4-6. If you’re trying to find a 30-minute activity that will boost your child’s discipline, concentration, and physical confidence, this is a great outlet. In addition to offering courses for toddlers, we also have classes that are geared towards adolescent. Are you beginning to feel like your teen isn’t quite able to handle the curveballs that life throws? Perhaps your son is struggling in school, and your daughter’s social life is falling apart. These can be very daunting problems that can completely change the trajectory of a young person’s life. Though you might be initially intimidated, you can trust us to help you get through it. We’ve all been teenagers before, and we all know how tough it can get at certain points. There is a medley of different problems and situations you have to navigate, and it can get scary, lonely, and absolutely draining. If you’re trying to get your child in the right environment, we think they’ll be able to grow here at Tiger-Rock. Our instructors provide teens with a challenging, fun, and engaging atmosphere. They’ll be able to improve and sharpen their mental and physical skills. Many of our students report enhanced concentration, focus, and discipline. This is vital in life, and it’s important to make sure you instill these. You’re going to have to concentrate and stay focused well after you’re done having homework assignments. What about when your son gets his first job out of college? Is your daughter prepared to handle a natural disaster without panicking? These are important life events, and your kids need to have a strong mindset instilled in them during their formative years. Make this happen by enrolling them right here at Tiger-Rock. Physical fitness is something else that can be improved upon with diligent martial arts training. If your teenager isn’t doing so well in sports, this could be an effective outlet. Many of our students report increases in a range of motion, strength, agility, and overall physical health. If you’re ready to take that leap into the next level of athleticism, learning Taekwondo could be a helpful edge! At Tiger-Rock, we believe that competition is something that cannot be ignored. Are you trying to foster a healthy competitive spirit within your kids? Maybe you want them to learn how to win and lose in life with grace. If so, we think that our yearly tournaments will be a perfect place for them to grow and improve. In case you’re looking for state, regional, and nationwide tournaments to sign them up in, contact us. We have opportunities like these to help all of our students get better. Visit Tiger-Rock for more information on our classes! Kids Karate Keller TX Taekwondo classes might be more important than you think. Your children have a limitless amount of potential, but it’s up to us, the parents, to set the way. If you’re ready to help your offspring develop their skills and set themselves up for success, call Tiger-Rock today. Our instructors would love to learn more about your family and sign you up for a class that suits your schedule! We continue to add new time slots to our schedules, and we’re confident you’ll be able to find something that fits your routine. Let us know what you need and we’ll do our best to figure out a solution. Keller is a great part of the Tarrant County of Texas. Because it is a part of the Dallas-Fort Worth area, you’ll be able to enjoy safe living with metroplex access! We are consistently regarded as one of the safest cities in all of America. Our emergency response teams do a great job of keeping citizens safe and secure around the calendar. It’s important to make sure you live in a community that will help you save cash while still having a great living experience. If you’re interested in a great neighborhood, check out Keller. We have affordable prices for both buying and renting!